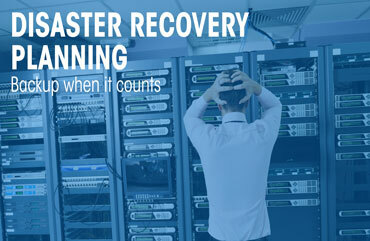 Disaster recovery starts where backup leaves off. imagine your business suffers a catastrophic loss of hardware or faccilities in which equipment is gone, what do you do? luckily we have the answer. It can take less than 60 seconds for a company's reputation to be ruined and its business to be crippled. In just one minute a server failure or hacker can knock out vital applications and lead to a catastrophic series of events. This can do untold damage to a company's reputation, taking months or years to rectify. Some may never open their doors again. 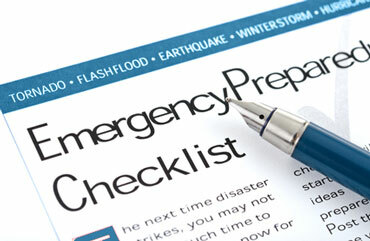 Preparing for a disaster requires a comprehensive approach that encompasses hardware and software, networking equipment, power, connectivity and testing that ensures DR is achievable within RTO and RPO targets. While implementing a thorough DR plan isn't a small task, the potential benefits are significant. Hardware failure? Blue screen of death? PC damaged physically beyond repair? Fear not! With Disaster recover we can transfer a bare metal system image backup of your current computer. And then restore Windows image to another computer with dissimilar hardware through bootable media. Our Solution is a safe and reliable backup & disaster recovery software which can easily help you to accomplish the migration of system, applications, and data from a computer hard disk to a virtual machine. 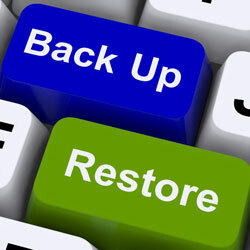 You just need to create a full backup image with our Backup Service and then restore it to a virtual machine. Need immediate access to Mission critical Servers running your business? Consider that we not only have a copy of your entire Server in our Hosting facility but also can restore to a local server on premise each night to a duplicate Server. So whatever the disaster you can run your business from a Server at our hosting facility or repoint and run your operations from the real time cloned server on site at your business. Disaster Recovery, where Backup ends Recovery begins. RPO is the maximum age of files that an organization must recover from backup storage for normal operations to resume after a disaster. The recovery point objective determines the minimum frequency of backups. For example, if an organization has an RPO of four hours, the system must back up at least every four hours. RTO is the maximum amount of time, following a disaster, for an organization to recover files from backup storage and resume normal operations. In other words, the recovery time objective is the maximum amount of downtime an organization can handle. If an organization has an RTO of two hours, it cannot be down for longer than that. 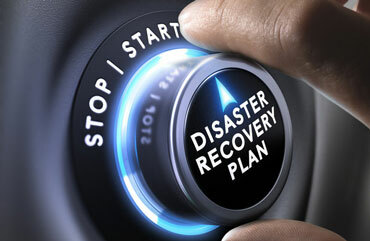 The RPO and RTO help administrators choose optimal disaster recovery strategies, technologies and procedures.